The Euro Vault Gas Strut is an innovative top-opening safe which offers an ideal security solution when situated beneath seats and floors. 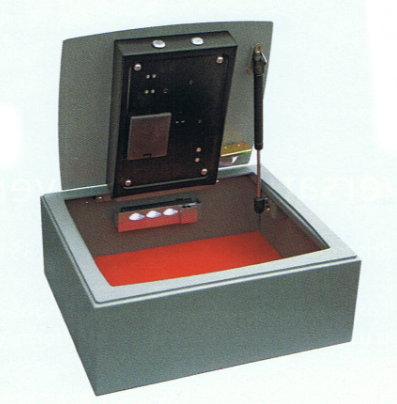 Suitable for both commercial and domestic environments, the safe has been built to a high quality standard with a recommended overnight cash rating of £1,500. Incorporating a single user code, which is similar to those used in hotels, the code can be changed each time the safe is used. 4mm anti-bludgeon door with 20mm hardened steel locking bolts. Management override key and master code ensure emergency entry at all times.